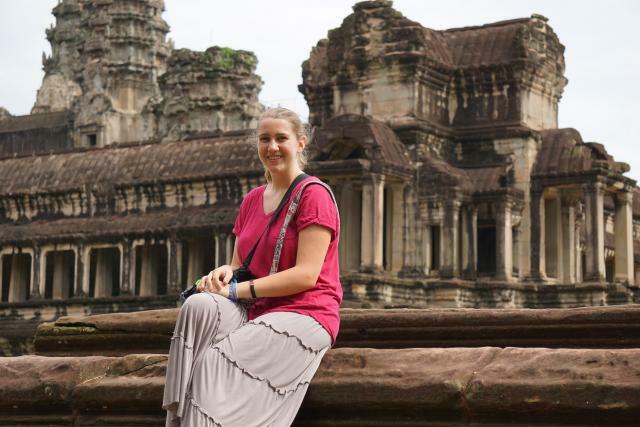 Meet Our Featured TFT Traveler: Sara C! What grade are you in and where do you go to school? I am currently a freshman at the University of Alabama (Roll Tide!). Local history museum in Tanzania. 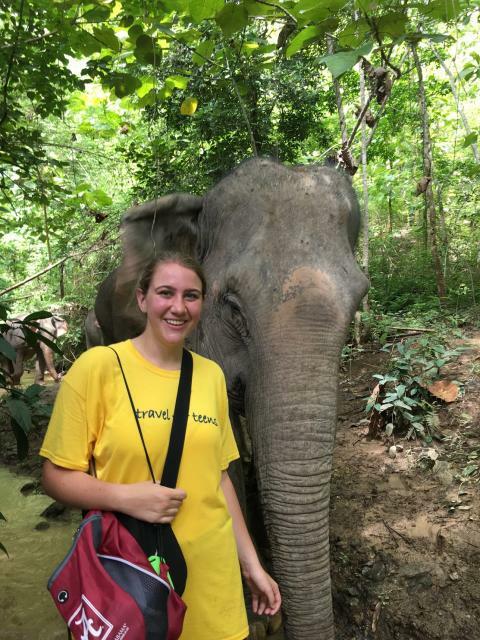 France Language, Italy Service and Adventure, Thailand Elephants and the Islands, Japan Discovery, Tanzania Service, Safari and Adventure, and Southeast Asia for Older Teens. ​Jungle hike with elephants in Laos. Traveling with TFT has completely changed my life. I started my first trip incredibly shy and anxious, and now I am far more outgoing and willing to try new things. I have learned to value every experience and never take a moment for granted. 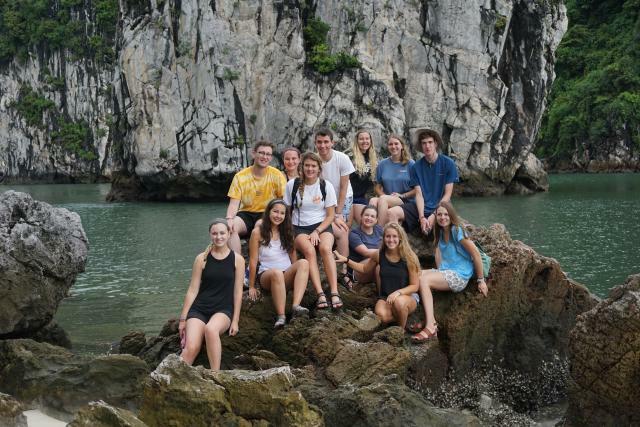 Group picture in Halong Bay, Vietnam. 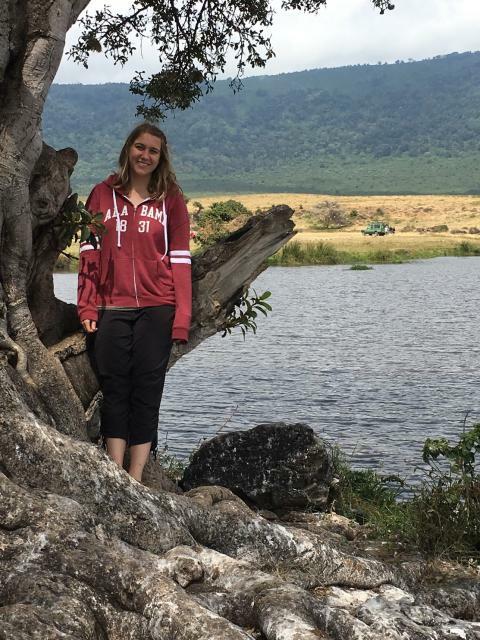 When I was in Tanzania serving at the SEGA school for girls, we met one student named Maria who had come back to school early just because she wanted to meet us. 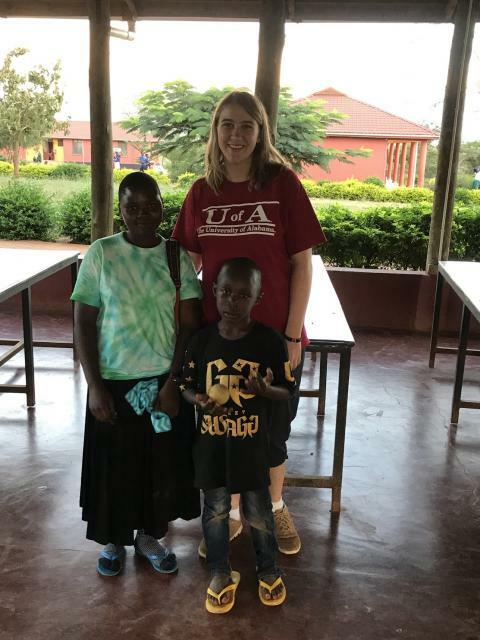 She was willing to sacrifice time with her family in order to visit with us, and she was so involved in every activity we did with the group. Meeting her made the trip so meaningful to me and the rest of the group, and she taught me to enjoy every moment and realize all of the blessings I have been given! A student named Maria and the child of a woman who worked at the school. Cinque Terre, Italy! I am convinced it’s the most beautiful place in the world; there just isn’t anything else quite like it! 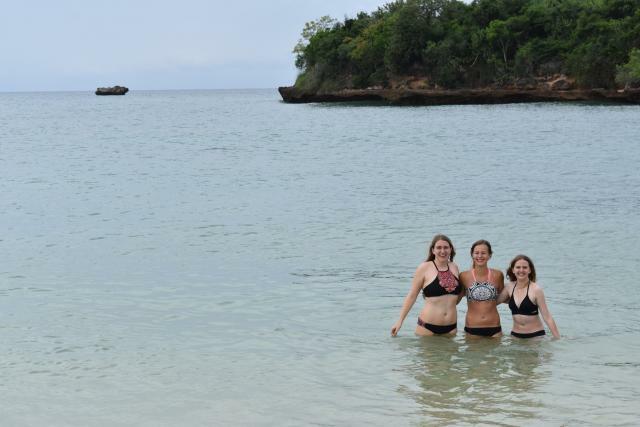 ​Swimming at Bongoyo Island off the coast of Dar es Salaam, Tanzania. Weirdest food you have ever eaten. This one is tough; TFT has gotten me to try so many weird foods! Durian (the world’s smelliest fruit) is definitely one of the weirdest flavors I’ve experienced, but I’ve also eaten a scorpion in Thailand and fried river weed in Laos, which were both pretty weird! What is the one thing you wish you had known about traveling abroad before you went on your first trip that you want to share with other first-time travelers? Just say yes!! 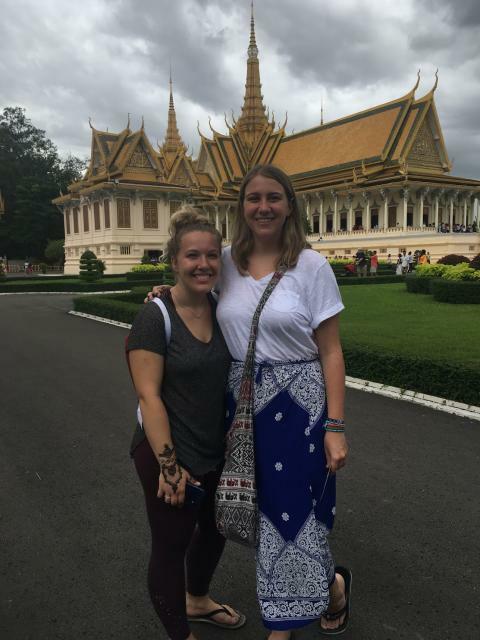 When you’re traveling abroad, you will always run into experiences and opportunities that will push you out of your comfort zone. You may be afraid to try something, but I know I always regret saying “no” more than I regret saying “yes”. Even if it isn’t what you wanted to do, go into it with an open mind and you may find a new passion. Even if you don’t like it, you’ll probably end up with a great story to share when you get back home! Safari in Ngorongoro Crater, Tanzania. I have to say trains, especially in Japan. We went from city to city using only the train system, and it was such a fun way to travel. You get to see so much of the landscape that you wouldn’t get to see otherwise, and the trip is still relatively short. ​The Royal Palace in Phnom Penh, Cambodia. Listen to your counselors and get to know them as much as possible. My counselors are some of my favorite people I have ever met, and they are always so interesting and fun to be around. Always remember how lucky you are to be traveling. Take nothing you do for granted, even if it isn’t your favorite activity. 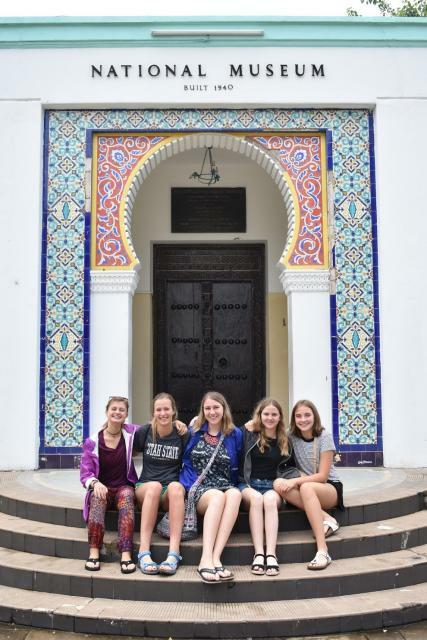 Be open to new people; your group will quickly become your family, and having long lasting friendships is one of the best parts of traveling with TFT. 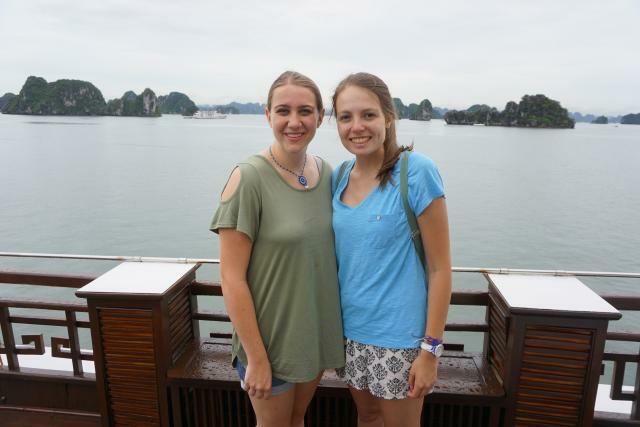 ​Halong Bay, Vietnam with one of my best TFT friends. Try new food, activities, cultural traditions, everything! If you are closed off from the culture, you will always be a tourist, but if you’re willing to get out of your comfort zone, discover local delicacies, and partake in the country’s traditions, you’ll become a real traveler. Also, talk to the locals! 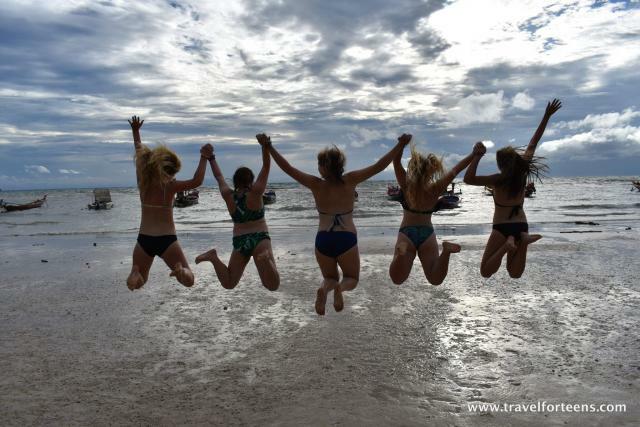 ​Koh Tao, Thailand, with some of my best friends!